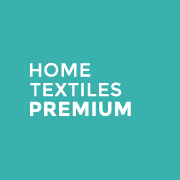 València, 21h December 2018 – The dates for the next edition of Home Textiles Premium by Textilhogar have already been set. The event, which is Spain’s only 100% trade only fair dedicated to home textiles will be taking place for the fifth time in 2019. The dates have now been set as 11th-13th September and the venue will once again be Madrid’s Caja Mágica exhibition centre.